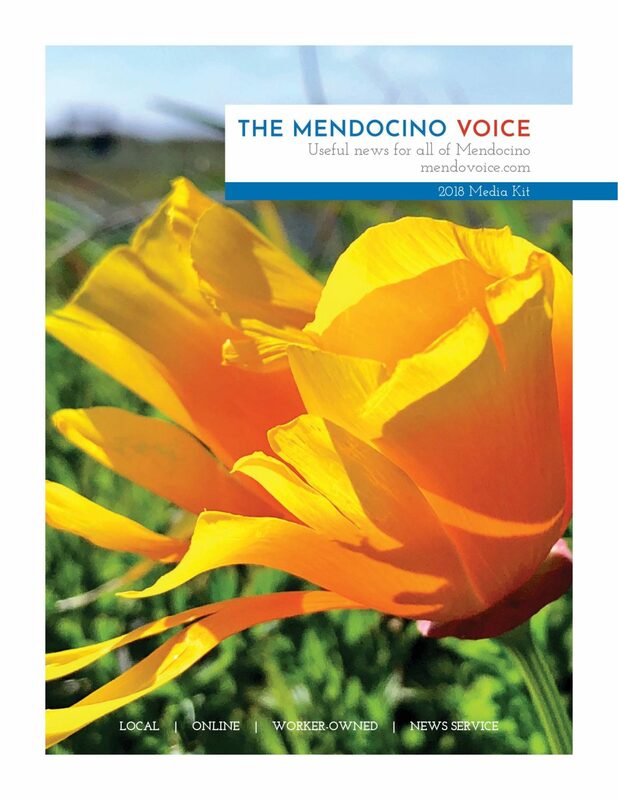 Advertising with The Mendocino Voice is easy, effective and builds our local economy. To see the printable PDF version our media kit, click here for the color version and here for B&W version. If you'd like to purchase an ad contact us at [email protected] or 707.506.NEWS -- 707.506.6397. We offer special rates for non-profits and community groups, and can work with you to design a marketing campaign that is customized to your needs. Here is our media kit, scroll down for prices. 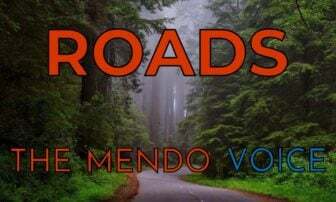 When you advertise in The Mendocino Voice, you reach an engaged audience of people who are invested, and active, in the future of Mendocino County and the North Coast. We see our ad clients as partners — your ad dollars help us report the news that your employees and customers depend on. And as we grow, our advertising reach grows, giving you a better value for your money. 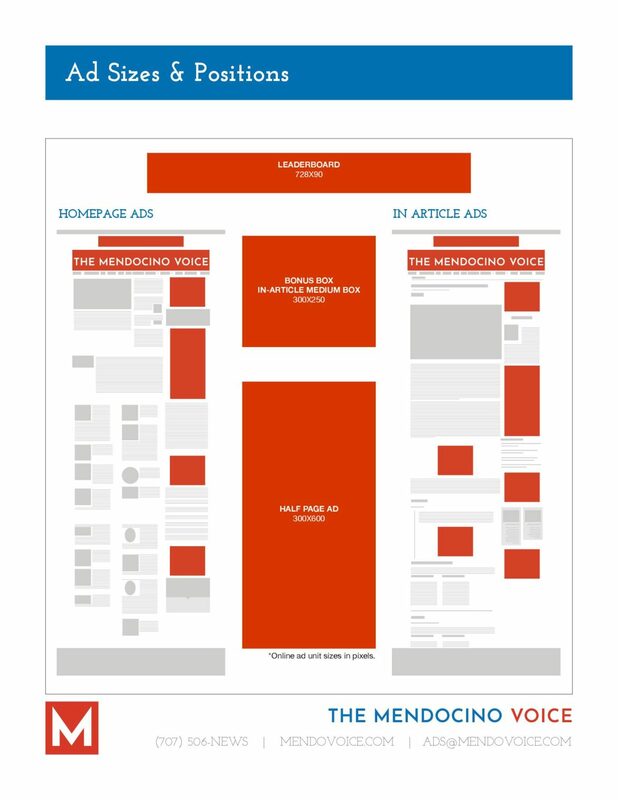 The old model of saturating websites with a random assortment of national ads alienates readers. We understand that running ads for local business adds value to our site. 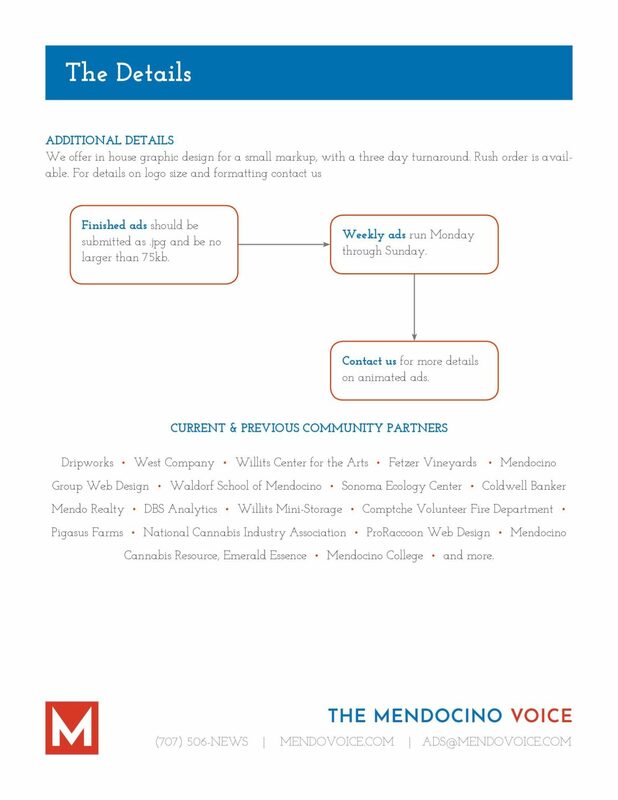 Not only do readers want to learn about the road closure, they want to know about your sale — and we want to help you find the best way to connect your business with our readers. 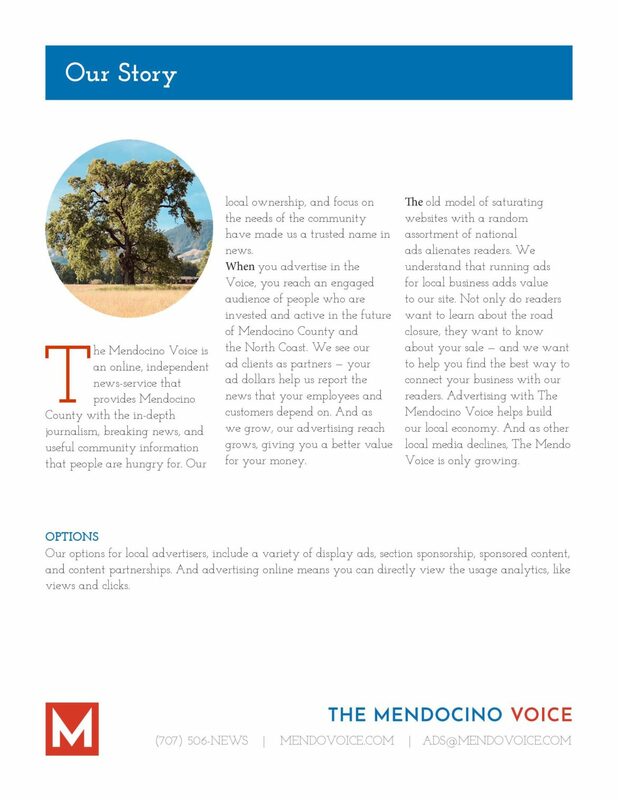 Advertising with The Mendocino Voice helps build our local economy. 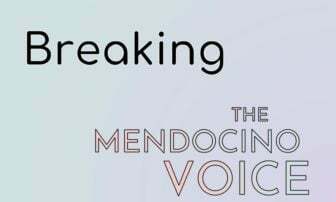 And as other local media declines, The Mendo Voice is only growing. 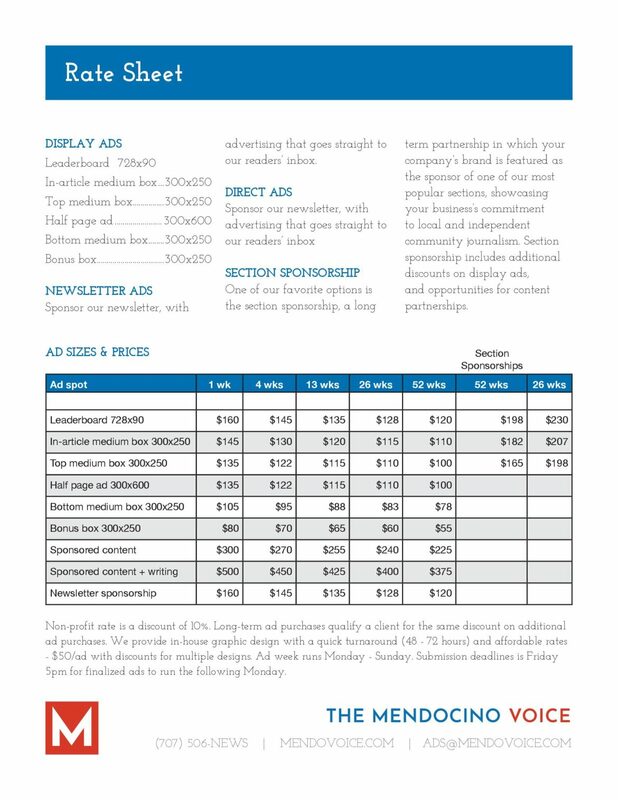 Our options for local advertisers, include a variety of display ads, section sponsorship, sponsored content, and content partnerships. And advertising online means you can directly view the usage analytics, like views and clicks. And advertising online means you can directly view the usage analytics. Our audience skews younger than traditional papers — which means we’re reaching the future of Mendocino County. Our largest demographic is the 35 - 45, followed by 45 - 55 and 25 - 35. 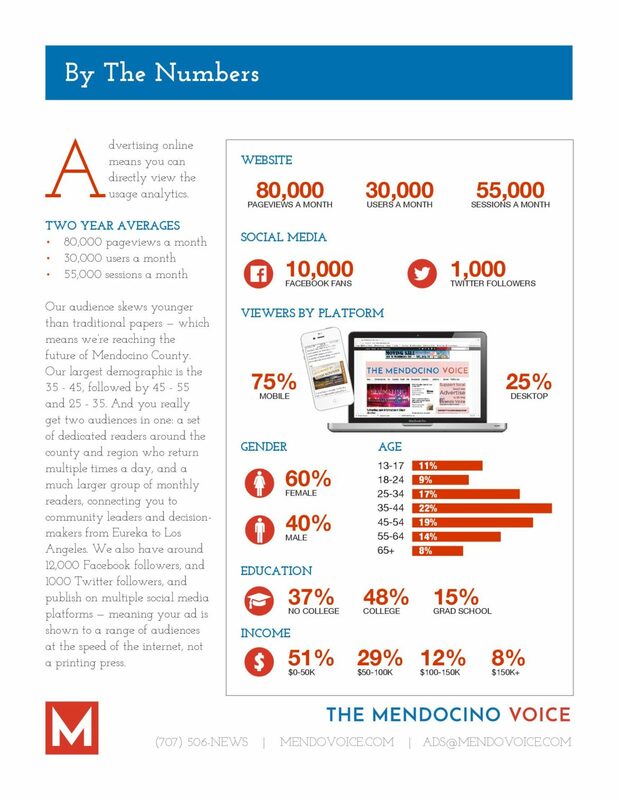 And you really get two audiences in one: a set of dedicated readers around the county and region who return multiple times a day, and a much larger group of monthly readers, connecting you to community leaders and decision-makers from Eureka to Los Angeles. We also have around 12,000 Facebook followers, and 1000 Twitter followers, and publish on multiple social media platforms — meaning your ad is shown to a range of audiences at the speed of the internet, not a printing press.